Are you thinking about visiting Italy with kids? Perhaps you are already a huge fan of the country and are looking for some inspiration for your next Italian holiday? I really can’t blame you on both counts as Italy is a country with a lot to offer families with children of all ages. With plenty of homes to rent in Italy, there’s lots of opportunity to explore it’s ancient history, natural beauty and splendid architecture making for the perfect family holiday for all. As well as being the perfect history lesson for kids, Italy also boasts an endless supply of picturesque seaside towns and villages. 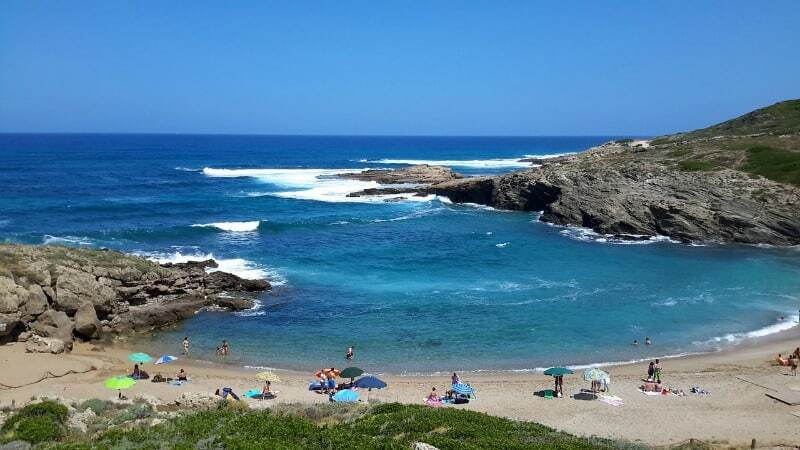 You’ll find some of the best beaches in Italy in places like Sardinia, Tuscany or Sicily and they provide the perfect playground for families who love the feeling of sand between their toes. Whether you preferring relaxing by the sea or fuelling your sense of adventure exploring the winding streets of Italy’s historic cities, another huge draw for families is the food. Children and Italian food literally go so well together with pizza and pasta being a hit with most bambini. There’s no shortage of cafe’s and restaurants in Italy, and you’ll find many piazza’s over run with choices for you and your little ones to enjoy the local cuisine. Choosing where to eat in Italy will be your first challenge and the second will be picking one of the many amazing flavours of gelato on offer for dessert. Italy holiday decisions sound pretty tough don’t they? I’m going to kick off this list of places to visit in Italy with the interesting and vibrant city of Naples. It provides families with the perfect mix of historic ruins, sun drenched beaches with a wealth of activities on offer and arguably the best pizza in Italy. Naples is bustling with activity, and it’s scooter laden streets have several stories to tell visiting tourists. A visit to the Galleria Borbonica will provide an interesting insight into Napoleon life during the war and before. If you are looking for a break from the sunshine as well as a history lesson you will learn how the tunnels were used for refuge during bomb raids. Several remnants of family life still remain in the tunnels and many families still lived in the tunnels for many years beyond the war until a new home was found for them. A visit to Naples would not be complete without stopping by the world famous heritage site of Pompeii, which is just a 30 minute train ride away from this Italian town. Once a thriving part of the Roman Empire, it was wiped out by the eruption of Mount Vesuvius in 79AD. The excavated ruins provide for an excellent day out and an eye opening insight into these tragic events. If visiting with children pack sun hats, plenty of sun cream and a good supply of water to get you through the day. Love cars? A road trip in Italy’s Motor Valley gets you and the kids up close to some of the world’s dreamiest vehicles. This route through northern Italy weaves around the towns of Modena, Maranello and Bologna. It’s studded with museums, factories, showrooms and collections of iconic and massively expensive supercars. We visited the holy trinity of Italian cars; Ferrari, Pagani and Lamborghini. The museums are all very different, telling the stories of their creators. My favourite? Pagani, although I couldn’t quite stretch to the seven million euro model and would have to join the queue anyway – the factory only makes 40 cars a year. 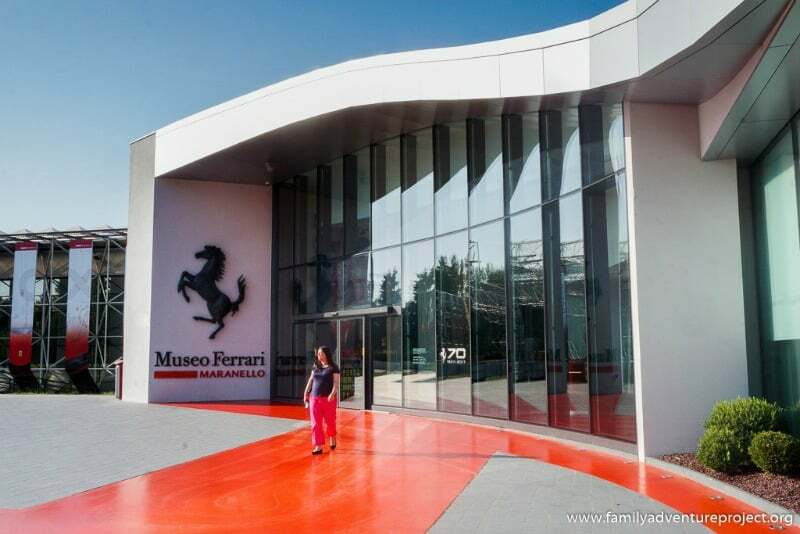 Smaller kids will be wowed by the 430 Scuderia that inspired the Disney Pixar movie ‘Cars’ -see it in the gallery-style Museo Enzo Ferrari during your family trip. 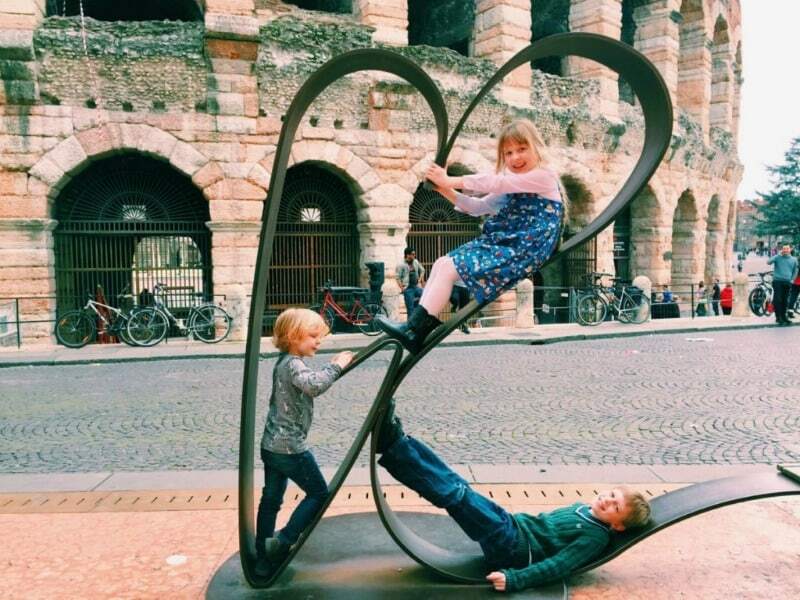 Verona is my favourite Italian city to visit with the kids. It has it all, an amazing Roman Arena (which is even older than the Colosseum in Rome), history at every turn, the friendliest locals, nods to Shakespeare everywhere and ice cream shops on each street corner. Verona is one of those places that is packed full of fun things to do but equally works by just getting lost in the maze of back streets if you want to get off the beaten track. History and stories feel alive in Verona, it is packed full of all the character Venice has but without the crowds. We love it. What could be more magical to children than a city on the water? A city of palaces, where you have to get around by boat and there are statues of winged lions everywhere you turn. Venice is a joy to explore with children. Wander down the less touristy backstreets and you’ll find tiny canals and little bridges to run across. There are ice-cream shops around every corner and you can learn how to row a gondola and paint a Venetian mask. There are many ways to introduce your children to Venetian culture, it just takes a little planning. Make cultural visits more fun by finding something to engage children’s interest. My two loved the secret tour of the Doge’s Palace where they got to go through hidden passags and doorways and into torture chambers, finding out who made the best spies. We also loved exploring one of the world’s most colourful places we’ve ever seen on the tiny island of Burano, a short boat trip away from Venice across the lagoon. As well as brightly coloured houses we found other delights including books piled up in gondolas and bathtubs at the wacky bookshop, Libreria Acqua Alta which is worth hunting out. After a long day exploring the city, treat yourselves to a decadent hot chocolate in a Venetian caffè before avoiding the queues to go up the Campanile bell tower in the late afternoon. Everyone will enjoy the stunning views of Venice and on a clear day see if you can spot the Alps in the distance. 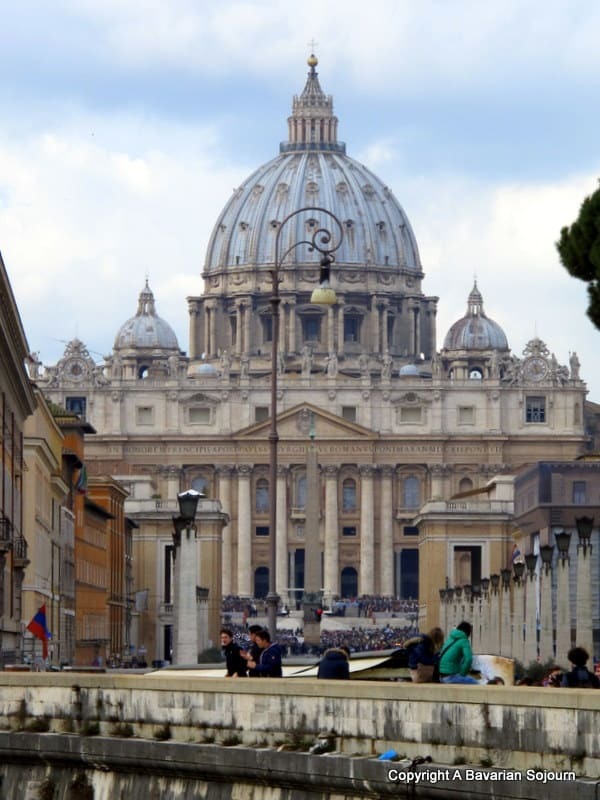 Picture the hustle and bustle of Rome, and it might not seem like the most kid friendly destination, but don’t be fooled, Rome really does have everything you need for a truly memorable family trip. Of course no visit would be complete without exploring the iconic 2000 year old Colosseum (did you know it could seat 50,000 people, and was gruesomely responsible for many animal extinctions?). Grab a waiting history student outside the entrance and get them to give you a guided tour of this ancient arena, or better still, book an official guide to show you around this and many other secrets of the city for the whole day. 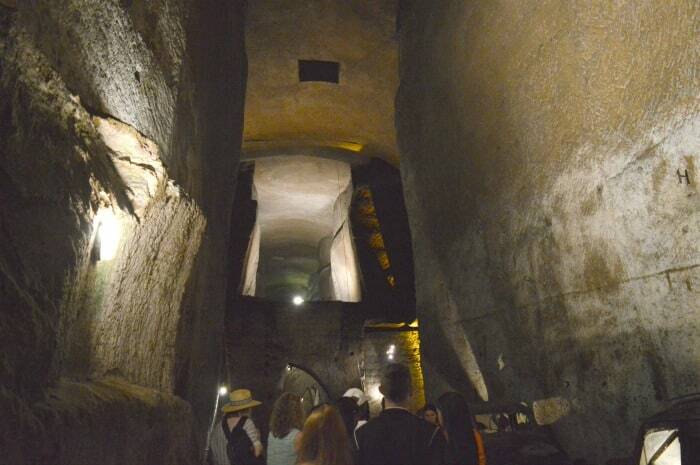 We loved Rome is Easy who took us deep under the city to explore the ancient catacombs, before taking us on an extensive tour back on the surface. Make sure to head to La Bocca Della Verita to take the famous lie detector test, and if the weather’s great and you have small people that need to burn off excessive energy then spend an afternoon at Villa Borghese, Rome’s vast green lung (look out for the replica Shakespeare’s Globe Theatre!). You will always find something to keep children happy there with pedal cars to get about on, and a great zoo to explore if you fancy it? Weather not so great? No problem, head to Explora. This museum is specifically aimed at children and is definitely hands on, and great fun. Not had quite enough history? Pay a visit to The Forum and surround yourself with mind-blowing history in ancient pillars, temples and building form. For those less interested in Roman architecture and artefacts, keep an eye out for the ancient graffiti and the brightly coloured lizards that live there. Rome is a great place to visit all year around with children, although I would possibly visit outside of the summer months to avoid the sweltering heat. And if none of the above appeals, then it’s worth visiting for the world class pizzas and gelato alone, trust me! 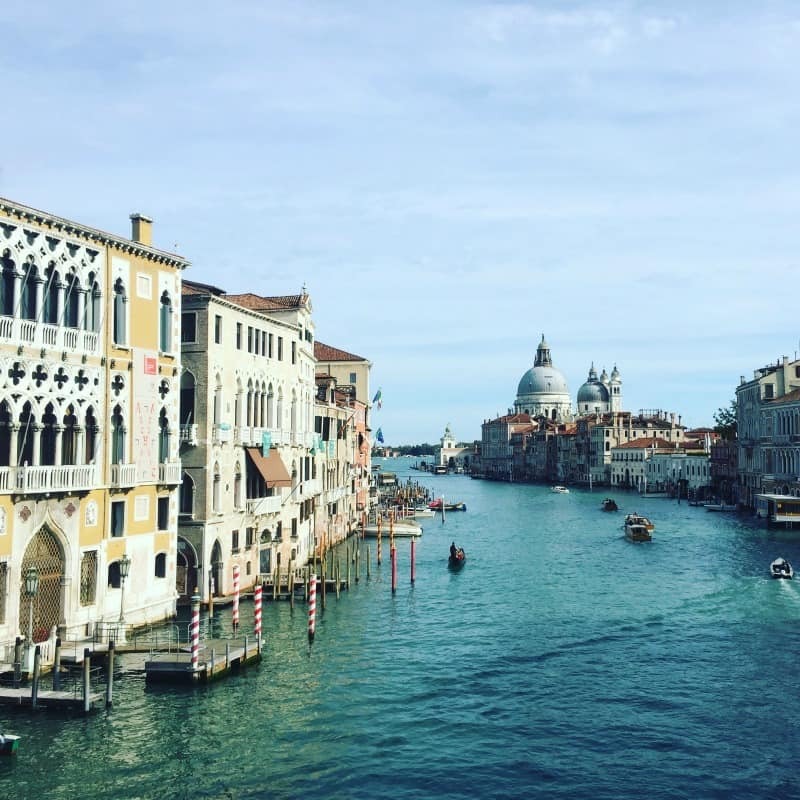 Taking your family on holiday to Italy will be a culturally and historically rich experience as well as providing you all with the perfect European getaway. With such a varied choice of interesting things to do and places to visit, we are sure Italy will tick a lot of boxes for you. Where would you add to this list of family friendly destinations in Italy? I’d love to hear your thoughts in the comments below. We’re off to Milan at Easter – I’ll let you know!